By default the itopia VPN module will create the site-to-site tunnel to allow connections between your on site network and the network in the Google cloud. 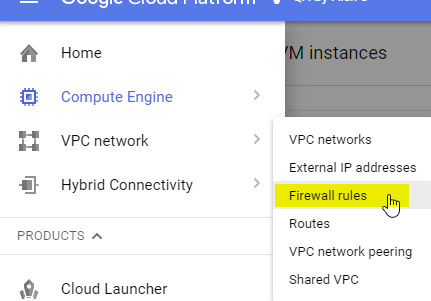 However, what the process does not do is open up any firewall rules between your on-prem network and the Google cloud network. This is done by default to allow you to dictate what traffic is allowed into the Google cloud network through the VPN. You will be able to ping devices across the tunnel because of a default firewall rule created by Google allowing ICMP requests but nothing else. 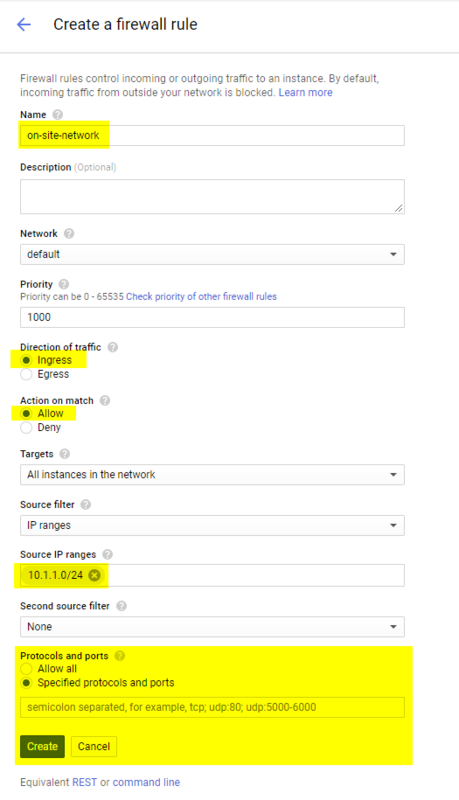 Once you hit create, Google will create the firewall rule and traffic will be allowed from IP's on the source network you filled in and only on the ports you selected.